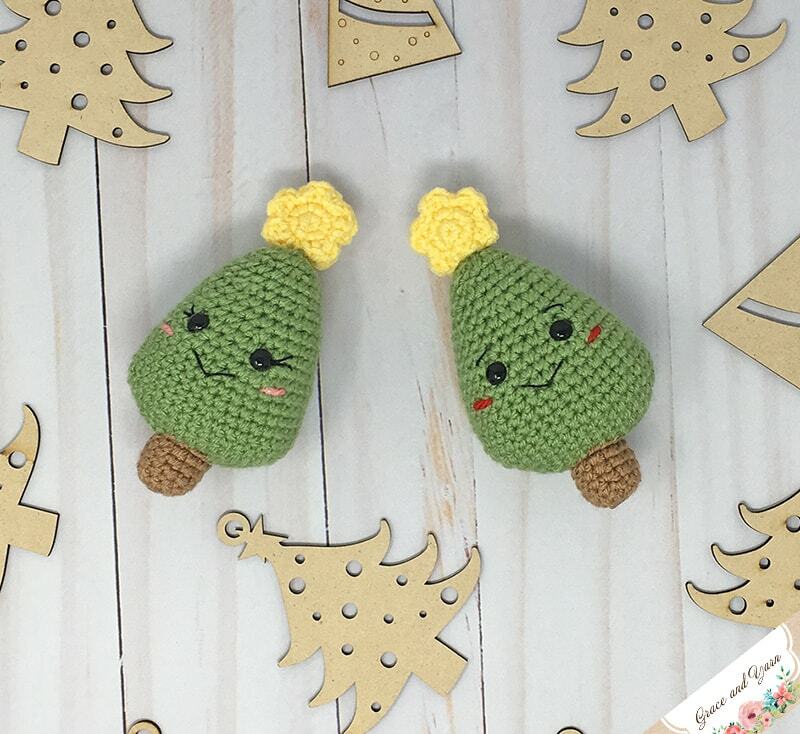 These Mini Amigurumi Christmas Trees are the perfect last minute crochet project! And better yet, they use very little yarn. Attach some string and you also have a super cute ornament! I made mine with little faces and expressions but I also think they would be adorable just as is! I've even contemplated making one with stripes! 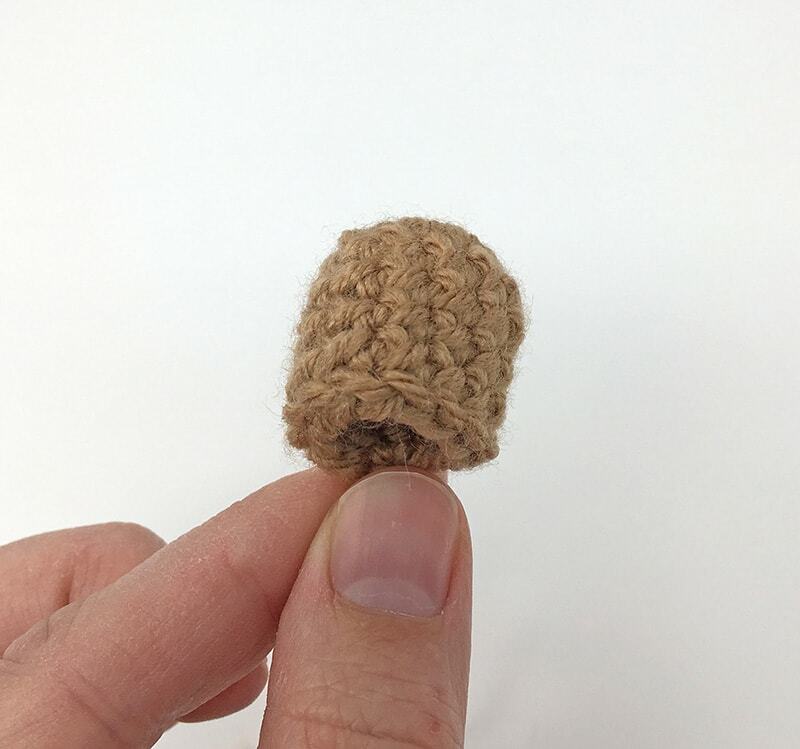 About a month ago I made a goal that every crocheter makes as some point. Not to buy yarn until I use up some of my current stash. Well, it's been a hard one! Somehow I have more green yarn than I know what to do with. About 5 or 6 skeins worth! I used some in the Spring to make Mia and Marshall the frog and now I've pulled them out again for these fun mini trees! My favorite part about them is how fast they work up. It took me about 30 minutes to make each one! Once finished, they are only 6 inches tall! You could even add a cute little bow (like this one in the mini pig pattern!) or use it to be a bow tie! If you're looking for even more Christmas inspiration you can find all of my free Christmas patterns here! 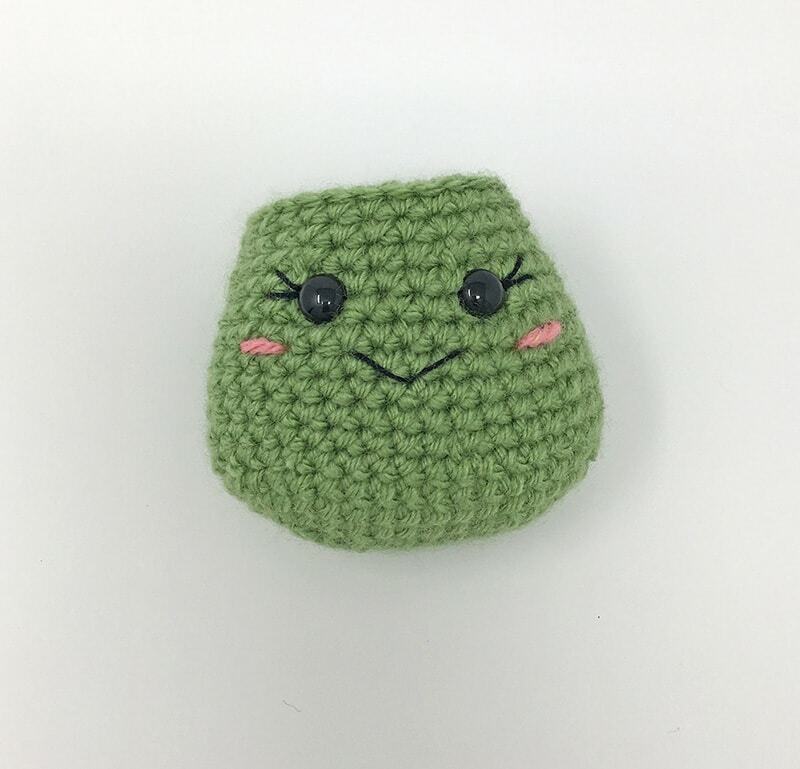 If you're new to amigurumi this is a great pattern to practice your increases and invisible decreases! 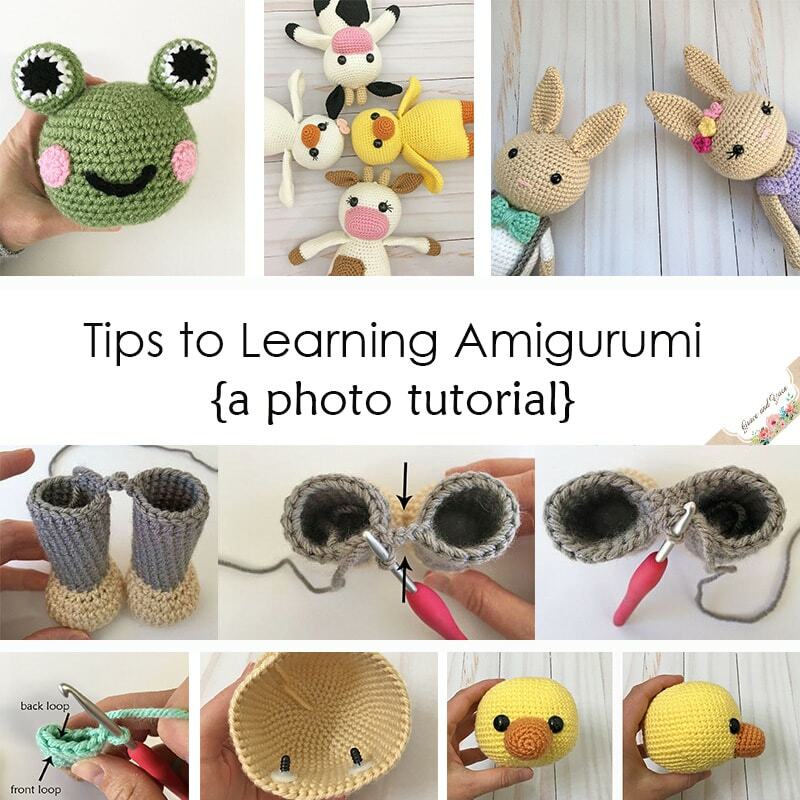 Head over to my Tips to Learning Amigurumi for more helpful tutorials to get you started! As I mentioned above, these can also be made without the facial features. This would make a safer version for a little one under 3. If you prefer crochet eyes I have a fun tutorial for you here! If you haven't already be sure to join the Grace and Yarn Crochet Group on Facebook. 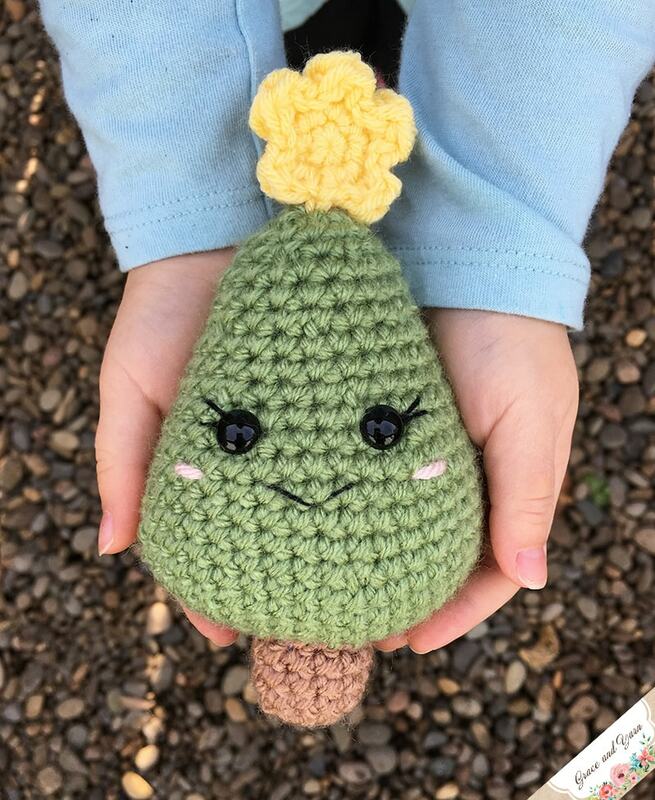 It's a fun and growing community to share your projects, ask questions and be inspired by others who have a passion for crocheting! If you prefer email notifications you can sign up for my newsletter here, I'll keep you updated on new patterns, giveaways and tutorials happening here on the blog! Get an ad-free printable version in my Etsy or Ravelry store! 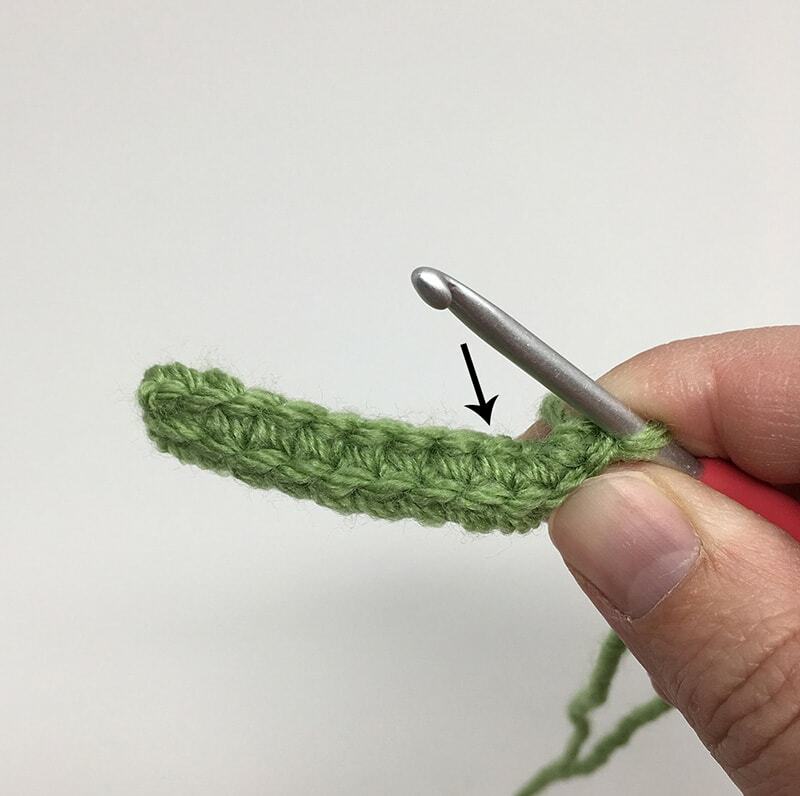 We'll start by crocheting on both sides of a foundation chain to create an oval shape for the tree, you will want to keep your chain fairly tight to help avoid the look of 'holes' on the bottom. Insert the eyes 3 stitches apart between rounds 12-13. Add cheeks, eyelashes, eyebrows and smile to your liking. Round 3: Ch 1, *(sl st, DC) into the same st, (DC, sl st) into the next stitch (this creates one point of the star)*, *rep around for a total of 5 points and join with a sl st to the bottom of the first point. 1. Sew the stump onto the bottom of the tree, add a little bit of stuffing as you go. 2. Sew the star onto the top of the tree and you are done! I hope you've enjoyed making these sweet mini Christmas trees! Thanks so much for stopping by!